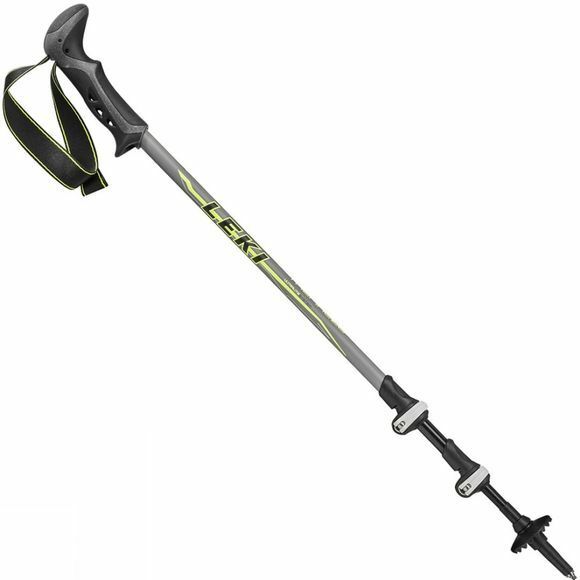 The Tremalzo Trekking Pole from Leki is a comfortable, hassle-free pole. With its adjustable soft strap and quick adjust system, setting up and using this pole is effortless. It is made from an aluminium material that is ultra-light yet still strong. Whether you are going up a steep hill and need a little help or going down the other side and want to take the strain off your knees, this pole will keep you going.